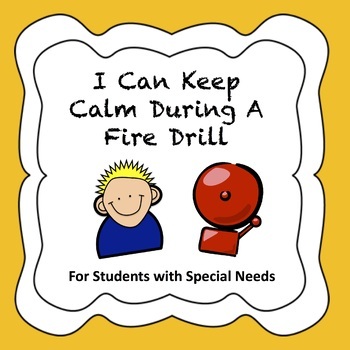 This social story was designed for students with special needs that may become anxious, angry, too excited, or simply uncomfortable during a fire drill. Read this story with your student or child to teach them that safety is very important during a fire drill and it should be taken seriously. This story also includes two calming techniques for students who dislike sudden schedule changes such as a fire drill.